Jo Perrin, 24, from Edinburgh is running in the Edinburgh Half Marathon in May for MS Society. Jo has set herself the challenge in support of her Dad who has been battling with Multiple sclerosis (MS) for over 10 years. “Not a day goes by that Dad doesn’t amaze me with how strong he is and he doesn’t let MS bring him down, even on the bad days”. Over 100,000 of people in the UK have MS. It’s an unpredictable condition and different for everyone. Often painful, exhausting it can cause problems with walking, movement, seeing, thinking and feeling. 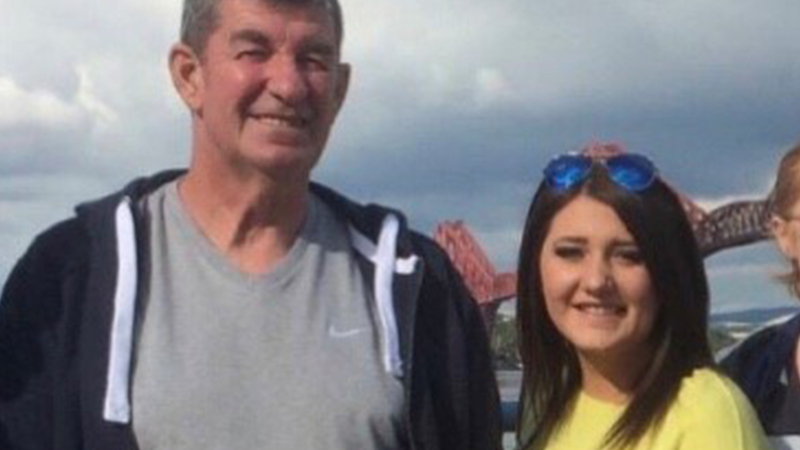 Pushing herself out of her comfort zone, Jo admits running 13.1 miles in the Edinburgh Half Marathon is going to be a real challenge but she is determined to achieve the goal she has set herself in support of her Dad. “Signing myself up for a Half Marathon is totally out of my comfort zone but I want to make my dad proud just like he does me every single day”. MS Society are a community of people who pool experience, expertise and voices to drive change. Providing care, share supporting, and commissioning life-changing research – all of which help those with MS and their loved ones to face the future with more confidence. You too can join the MS Superstars at the Edinburgh Marathon Festival. To find out more click here.